Video walls until recently used to be only common place at concerts and football stadiums. The capital investment involved usually exceeded the budgets of most small to medium size organizations. Thankfully that has changed with the advent of ultra slim Bessel screens from most of the main manufacturers. 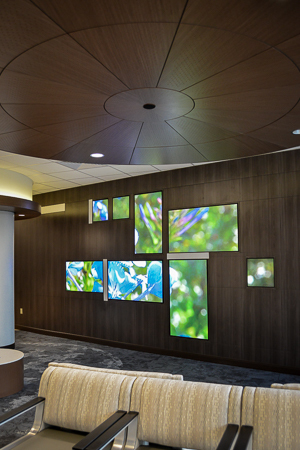 To this end video walls are now a realistic option for most businesses. They also can be off any shape and configuration. 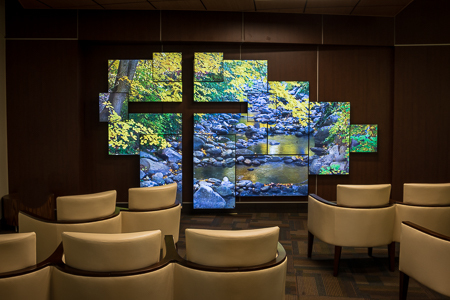 Sound Stage specializes in the construction of custom shaped video walls. 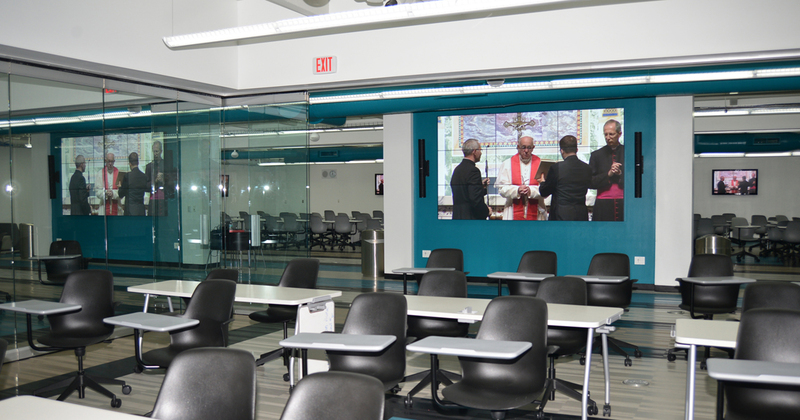 All video walls can be mounted flush to the wall with an easy front access maintenance system allowing a single screen at any location in the grid to be removed without disturbing the other screens surrounding it. Huge video walls can also be designed using an unlimited quantity of edge blended projectors. These projectors can be front mounted or set up as a rear projection system to hide them from view. Video walls have numerous applications ranging from control and command centers to shop fronts and exhibition design. Various methods of construction are possible from Ultra Slim Bessel displays to complete Bessel less displays and projection based systems. Each type of design has its benefits and Sound Stage will provide advice and assistance in ensuring the best solution is delivered for every application. 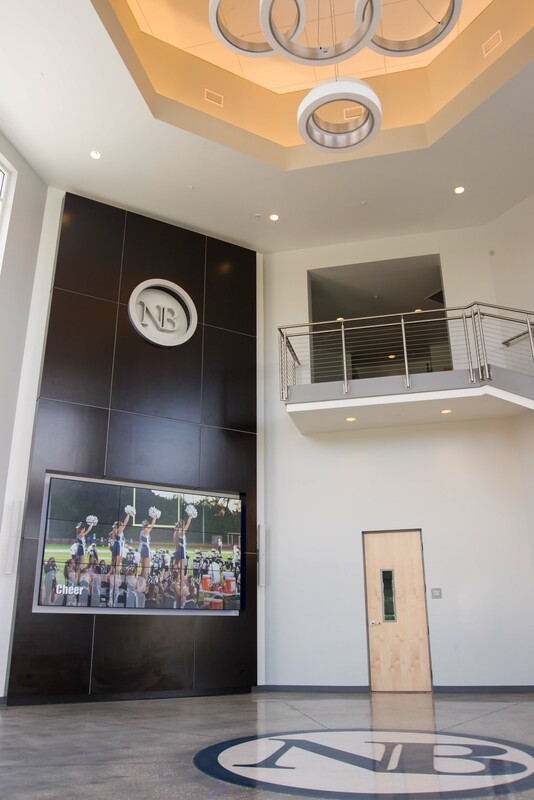 It is also possible to add interactivity to these walls by utilizing multi-touch technology to deliver a floor to ceiling touch screen with which multiple simultaneous users can interact. Applications using this technology range from virtual catalogues to information displays.